The Vinery Hair Salon: Product Review..By our Clients for our Clients! Product Review..By our Clients for our Clients! “Gentlemen, is this the answer to your premature balding or a help with covering up that grey?….NO!!! This product does neither nor does it claim to. In fact this product helps you make the best of what you have. Apply a small amount to towel-dried hair then use your hairdryer to dry and style, step back and admire the results. I was impressed that there were noticeable results on the first use, my hair felt thicker, was easier to style and held all day. Following continued use my hair felt much thicker (as if by magic I had more), I was using less product to hold it as the product has a holding power too. The only drawback (negative) is that it does need the heat from the hairdryer to activate the thickening properties, so if you like to roll out of bed in to the shower, quick towel off and run out the door then this product isn’t for you. You will have to adapt your morning routine to allow 5 minutes under the dryer. I must say this is one of the best products I have used and now forms part of my daily routine. The other plus is that it is an ideal holiday product as it has SPF 15 protection. I would rate this product overall 4.5 out of 5! 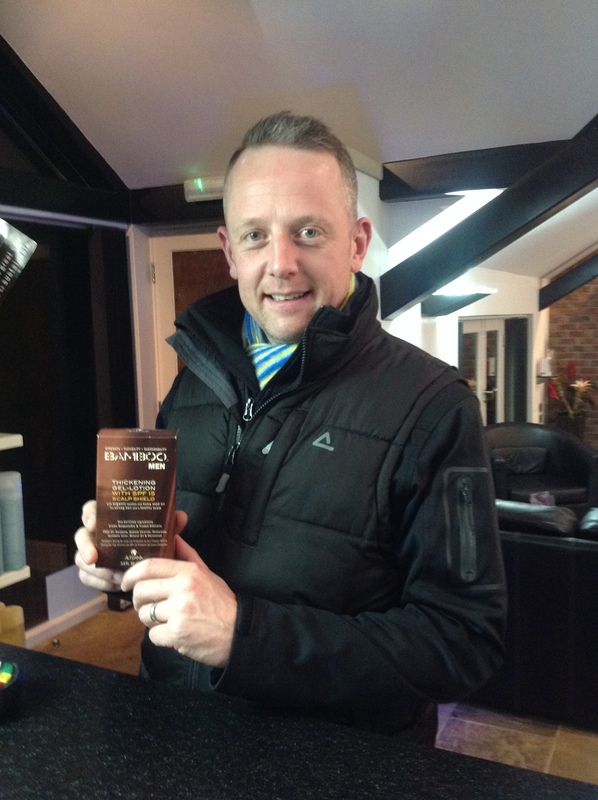 So a huge thank you to Charles for his feedback on the Alterna Bamboo Men Thickening Gel Lotion – as a Salon it is important for us to hear how clients feel about the products they are using, good or bad, and we are very grateful to Charles for such an insightful and honest review!